Ten-man Fulham suffered their first defeat of the season as they lost 1-0 to Birmingham in the Sky Bet Championship on Saturday. Michael Madl earned two yellow cards in 44 minutes - making it an uphill battle for Slavisa Jokanovic's men. Clayton Donaldson, who missed a penalty in the first-half, made no mistake with his second spot-kick in the 49th minute. 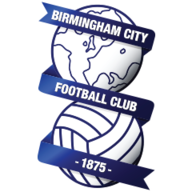 The win moves Birmingham, who have only lost one of the their last 10 league games, into third, while Fulham drop out of the automatic promotion places. Birmingham could have taken an early lead but Donaldson's close-range shot was superbly blocked by Madl. The pair were involved in the referee's first big call of the match moments later when Madl looked to have shoved Donaldson in the box, but nothing was given. In an action-packed opening 10 minutes, Tomasz Kuszczak stopped Tom Cairney's side-footed effort from reaching the top corner. Meanwhile, at the other end, Robert Tesche's 30-yard strike was turned behind the post by David Button. Birmingham spurned a golden opportunity in the 22nd minute when a long ball over the top of the Fulham defence found Che Adams, but his tame shot trickled into Button's hands. The former Sheffield United forward made up for his miss just three minutes later, though, by winning his side a penalty after he was hacked down by Madl, who picked up his first bookable offence. Donaldson stepped up but Button dived to his left to save the spot-kick. Just before half-time, Madl was shown a second yellow card for a rash sliding tackle on Donaldson. 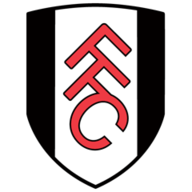 At the start of the second-half, Fulham cheaply lost possession in their own half, which resulted in Adams being tripped in the box to earn a second Blues penalty of the game . And this time Donaldson netted his third goal of the season as he drilled the ball past Button. Jacques Maghoma could have doubled the away side's advantage but his 20-yard free-kick sailed just inches wide of the post. Fulham captain Cairney tried his best to get Fulham back on level terms when he beat three Blues defenders but had his shot blocked. The Cottagers came close to scoring again when left-back Scott Malone failed to hit the target from 10 yards. Even the introduction of debutante Chris Martin could not push aside a resilient Birmingham team who held on for the win.